BLOOMINGTON, Ind. -- The Hamilton Lugar School of Global and International Studies Language Workshop reinforced the school's commitment to the study of critical languages by hosting the Project Global Officers Leadership Meeting Oct. 28-30 at the Indiana Memorial Union on the Bloomington campus. Project Global Officers, better known as Project GO, is a national training program to encourage ROTC students to study critical languages and develop expertise and intercultural communication skills. 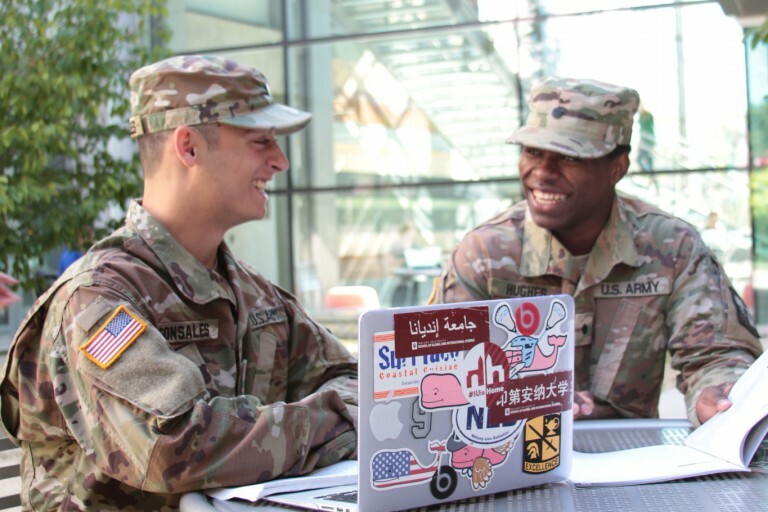 Indiana University has been a member of the Project GO coalition since 2007, providing more than 350 ROTC cadets with intensive training in Arabic, Chinese, Russian, Turkish and other languages. "Project GO is a vital initiative that ensures national security and defense readiness through language and culture training," said former U.S. ambassador Lee Feinstein, founding dean of the Hamilton Lugar School. "The program's goals strongly align with the Hamilton Lugar School's mission to imbue students with the global knowledge and regional expertise needed to be leaders on the world stage, and we are proud to contribute talent and resources to support its success." A presentation on the importance of advanced language proficiency and cross-cultural communication skills for today's military by retired Gen. Gene Renuart. A discussion on "International Education at the Crossroads" with Hilary Kahn, Hamilton Lugar School assistant dean for international education and global initiatives. A performance by the Indiana University Army ROTC Color Guard. Attendees included representatives from 20 universities, the U.S. Armed Forces, the Pentagon's Defense Language and National Security Education Office, the Institute of International Education and IU's ROTC units. "When Indiana University joined the Project GO coalition 11 years ago, you could count on one hand the number of U.S. military officers with experience in languages and cultures outside the Americas and Western Europe," said Kathleen Evans, director of the Hamilton Lugar School Language Workshop. "Project GO has now helped almost 5,000 ROTC cadets and midshipmen study critical languages, visit the countries where those languages are spoken and, most importantly, communicate effectively across cultural lines." Project GO programming at Indiana University takes place through the Hamilton Lugar School Language Workshop, one of the nation's oldest and largest summer language programs. It started in 1950 as a response to the growing need for intensive training in Russian language during the Cold War, later expanding to other less commonly taught foreign languages. Janae Cummings is director of marketing and communications at the Hamilton Lugar School of Global and International Studies.